THE QUILTED PINEAPPLE: Where Does My Time Go??? Well, Saturday was dance picture day for the girls. It was a day l-o-n-g extravaganza for me. The girls are in 5 dances in the recital in June, so they had 5 different picture times on Saturday, which is why it took so long. I did really enjoy getting to see them all dressed up in each of their costumes. Preparations start the night before. I lay out all their "gear" to make sure we have everything. 10 outfits and 10 pairs of shoes...= $$$$$$. Trust me, when I see the girls up on stage during the recital...it's worth every penny!! I usually have to keep from crying the whole time! LOL! So where else does my time go?? Well, you all know I have a family, I'm a quilter...now a LA quilter, and I work one or two days a week at a quilt shop (does that count? ?...because I'm getting paid to touch beautiful fabric all day...LOL!). Some of you might remember I also work as a traveling makeup artist for a BIG cosmetic company. The company's initials are E.L. When I first started my blog, I commented that I was the queen of part-time jobs. Now that it is Spring, I work at my friend/neighbor's ice cream shop, The Dairy Delite. I work mostly in the Spring and Fall during the day while the kids are in school. The owners employ high school and college students, so I work during the day while the they are in school. It's an awesome job because I love the owners, it's close to home and I'm home when the girls get home. The only problem with that job...I'm surrounded by yummy, diet sabotaging food all day! :-) On occasion, I also work at my friend Daphne's shop when she needs my help. Whew, and I wonder where my time goes??? LOL! I hope this helps explain why I've been posting less the past month. Now that I'm quilting for others, I will be phasing out the traveling makeup artist role. I'm tired of traveling on weekends. It became too much time away from home, not to mention gas prices. Last Fall, we decided to make the leap into the world of longarming. I can be home with my family, while making a little extra cash. Oh and I am loving quilting for others! I am so looking forward to this new journey. I just recieved my business cards! I'm so excited!! The printing company also sent me some complimentary bags too. Wow! You have been busy. I don't know how you do it. I am thrilled for your new longarm business. You really are an artist in that area. Your quilt in the above picture looks gorgeous as with all the others. All those dance recital dresses are so sweet! I love that picture! WOW No wonder you are so busy! Your daughters' outfits are fantastic. I can't believe all that you do! You are one busy gal! I beet the kids dance recitals were fun. Their costumes look so cute. I'm happy for your LA business. You are doing a great job. Your quilting on Paginini is breath taking. I have a feeling it went from not being your favorite quilt to your favorite quilt. 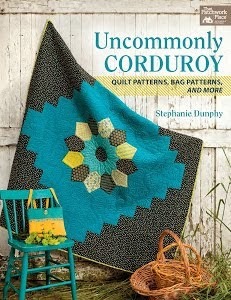 I am at a loss for words, I can't believe how you transformed that quilt from ho-hum to WOW!! It sounds like you are trying to find some balance and that is always good. I'm sure you'll be super busy on Annie now that you are ready for customers. Good luck with your new venture!! Well I am sure times flies with all you have going on. Busy girl. 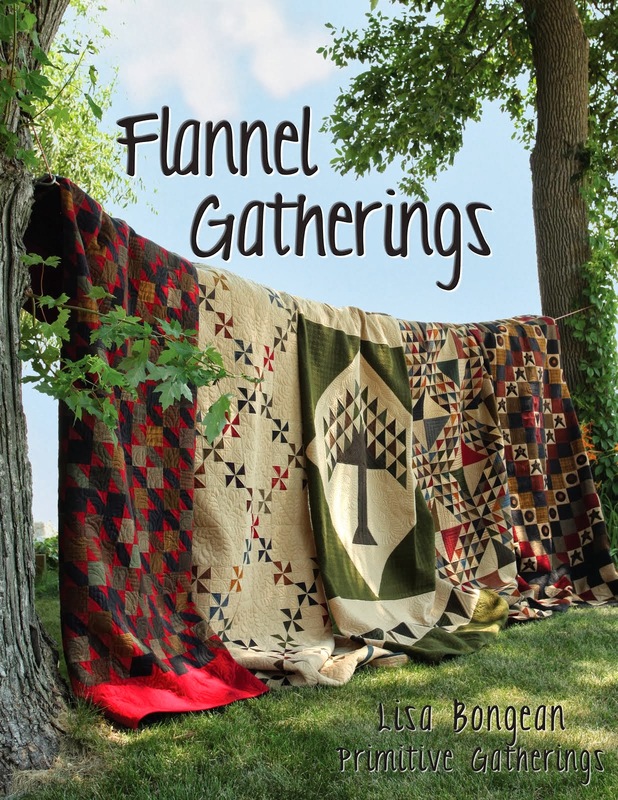 I think it is great that you are doing quilts for others now and that you can work around the girls school schedule. I think it is so important to be there when they get home. Good luck with the LA quilting. I'm ooing and awwing I don't know how to spell it but you get it right. Lots of fun stuff happening in your corner of the world. Enjoy your new journey. I don't know how you do it all! I know your girls are adorable in their dance recital outfits. Your quilt is beutiful! You are doing an awesome job on your quilting. You are really busy juggling everything. 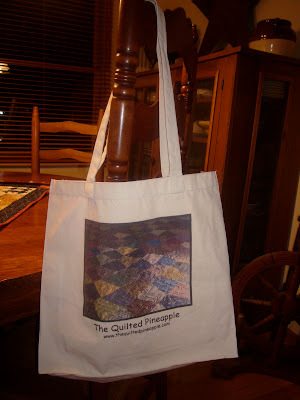 I love the Quilted Pineapple bags. It sounds like the long arm business and staying home will work out better for you. I used to do more when the kids were young and i was young, lol. Hopefully you can quilt full time and not have to do part time work. Wow - are you finding time to sleep, Linda? I can just imagine how much fun you had watching the girls - and how cute they must have been! How awesome that you have biz cards and even a tote! I love the quilting on Paganini - looks like you've done some trapunto work on it! If I didn't have my own LA, I would be sending my quilts to you for sure! So happy to hear you are getting your business going! You do an incredible job quilting and I've loved everything you've shown! Enjoy this great opportunity! I think you will have to quit all of your part time jobs and just quilt full time. Of course I wouldn't quit the quilt shop though, that is not a job. LOL! Want to share what kind of vitamins you take, lol? Good heavens you ARE busy! That quilt is just gorgeous. I can't wait to see Pagannini in all its glory! What you have shown looks fantabulastic. I reckon that you'll soon be doing LA work full time. I know that if I didn't do my own I'd be sending my quilts to you, even though it would cost a fortune in shipping. I'm soooo far behind in bloggy reading .. lol! And I've missed soooo much too ... where do you get time to do everything? If you need 'subbing' at the ice-cream shop whilst you're filling those quilting orders I could step in ...yummm!! Wow! You are busy! It must be fun to be doing so many interesting jobs :-) I'm sure the girls pictures will be amazing. I love the outfits! Cuter than the soccer uniforms I wash! LOL!! I forgot to mention that I love the title of your post! I so often wonder the same thing about my day! LOL! !